Life can be quite hectic. No matter how great your memory is, you could always end up forgetting to get certain things done on time. Your iPhone already has apps to help you keep track of things. 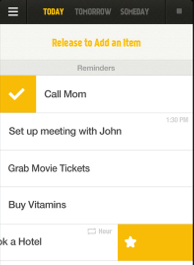 YellingMom Reminder happens to be a good looking one that gives you flexibility when it comes to handling your to-do lists on the go. YellingMom has an intuitive user interface. It sorts your items into Today, Tomorrow, and Someday buckets, so you will know which ones to get done first. It has gesture-based controls and is easy to customize. 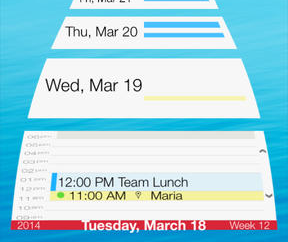 You can create as many lists as you like, add your notes, set reminders, and get on your way. 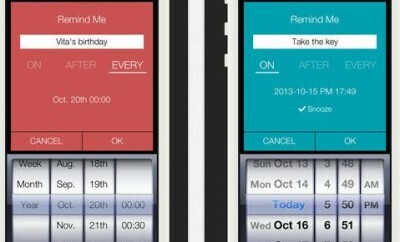 The design is simplistic, which is a plus for these types of apps. 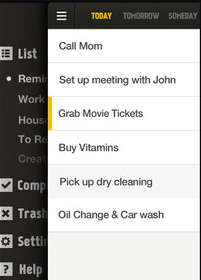 YellingMom may not be the most sophisticated to-do list app we have tested but it does look elegant and easy-to-use. Whether it is worth $2.99 is another story though.